ORLANDO — Twisted tales of devilish delight will return for the fourth year in a row as “Phantasmagoria IV: Hell Hath Risen” opens at the Lowndes Shakespeare Center on Friday, Oct. 11. 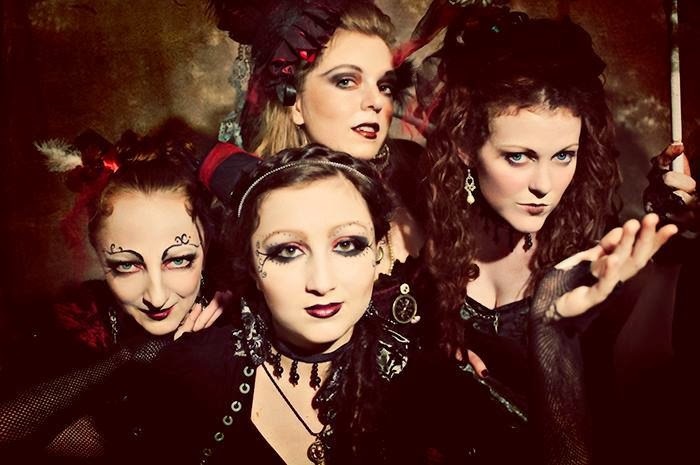 Phantasmagoria has earned a strong following in the Central Florida theater community over the years, because shows are so original and have much to offer the audience. A brilliant blend of storytelling, drama, dance, special effects and more, make this a show that is not to be missed for anyone looking to celebrate the Halloween spirit with local live entertainment. Like shows in the past, this year’s production is presented by DiDonna Production and The Empty Spaces Theatre Co(llaboration.) Starting from scratch after the end of last years performance run; scripting, art design, casting and all other work for this show is a year long process for the small but determined cast and crew. As in years past “Phantasmagoria IV” is focused on a macabre troop of mystical storytellers that find themselves summoned through the ether of time to share classic tales with any who dare to listen. The stories that will be told this year are wonderfully selected to be both frightening and mesmerizing. Audience members will surely be amazed by stories that span a litany of historical literary works including ancient Greek mythology, Charles Dickens, The Brothers Grim, Edgar Allen Poe and many other tales from around the world. This year featured storytellers Angela Trapp, Jill Lockheart, Josh Geoghagan, and Samantha O’Hare are prepared to bring these fine works to life aided by a talented cast of dancers, puppeteers and chorus members. All of this will be lead by Stephen Lima, who makes his Phantasmagoria debut as the ringmaster of this wild circus sideshow. Creator and director John DiDonna along with additional help by co-directors Kevin G. Becker and Seth Kubersky keep all of this work organized. This show will also feature original music by Tod Kimbro and Les Caulfield, fight direction by Bill Warriner, and choreography by Mila Makarova and Dion Smith. All performances for “Phantasmagoria IV: Hell Hath Risen” will be held on Friday, Saturday, and Sunday evening starting at 8:30 p.m, starting on Oct. 11 through 31, along with two special Monday night shows on Oct. 21 and 28. This year will also feature a special one time only event on Halloween night, which will includes an extended epilogue that will preview what is to come with Phantasmagoria V in 2014.